It’s easy to get the hang of grilling a big fat steak. Burgers and hot dogs are a cakewalk. But seafood is a whole other ball game. Fortunately, it’s easy to learn how to grill seafood perfectly each time. And it’s definitely worth learning how because seafood tastes great when cooked on a grill. Here are a few tips that will have you grilling seafood like a master. Tip #1: Lubrication is key. You’ll need to brush the fish AND the grill with a neutral-flavored oil to help prevent it from sticking it to the grill. Just don’t forget to let it the crust form on the fish and letting the fish release itself naturally from the grate before flipping it over. Otherwise, your fish WILL stick despite having been brushed with oil. Tip #2: Keep the skin on. Fish is very delicate and tends to fall apart when moved. Leaving the skin on can help prevent this from happening. Of course, it doesn’t hurt that some fish have thin skin that can get delightfully crispy when grilled. Tip #3: Fillets should be cut into smaller portions. It’s easier to manage fish around the grill when you’re handling small cuts. It also helps ensure that you get even cooking – no overcooked or undercooked parts to worry about. Tip #4: The rule of thumb is 8 minutes per inch of thickness. This means that for a 1-inch thick fillet, you’ll need to cook each side for around 4 minutes. If you’re going to cook a whole fish, then the rule of thumb is 10 minutes per inch of thickness. Tip #5: Make sure the grill grate is clean. Now, this is a good piece of advice when you’re grilling any kind of food. But it’s especially useful if you want to prevent your fish from sticking. Tip #6: Use a wood plank for added flavor. While this method won’t give you that delicious looking sear, it will definitely infuse some barbecue flavor on the fish that you’ll appreciate. Just make sure that you soak the plank in water for a minimum of 1 hour before placing it on the grill to make sure that it doesn’t catch on fire. Tip #7: Don’t marinate fish in an acid-based marinade for more than 20 minutes. The acid will start to cook the fish and you’ll end up eating ceviche instead of grilled fish. Tip #1: Get “dry” scallops instead of those soaked in preservatives. Not only does cooking the wet scallops give some sort of off flavor, they don’t sear very well on the grill because of all that extra liquid they absorbed. Tip #2: Bigger is better. There’s a greater chance of overcooking scallops before you get to browning them when they’re smaller. More importantly, they taste sweeter. Tip #3: Brush with oil before grilling. Like fish, scallops will easily stick to your grill grate if not lubricated properly. Tip #4: Don’t use marinades to flavor a scallop. This will only cause flare-ups that will burn your scallops rather than sear them. In addition, marinades will cover the natural flavor of the scallops. Instead, just apply a finishing glaze during their last minute cooking on the grill. Tip #1: Bigger is better. 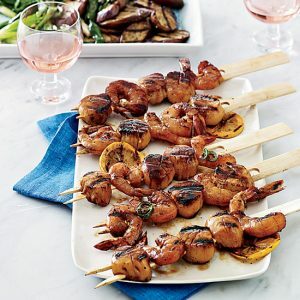 Like scallops, the bigger the shrimp is, the easier it is to grill it. You’re also less likely to overcook them. 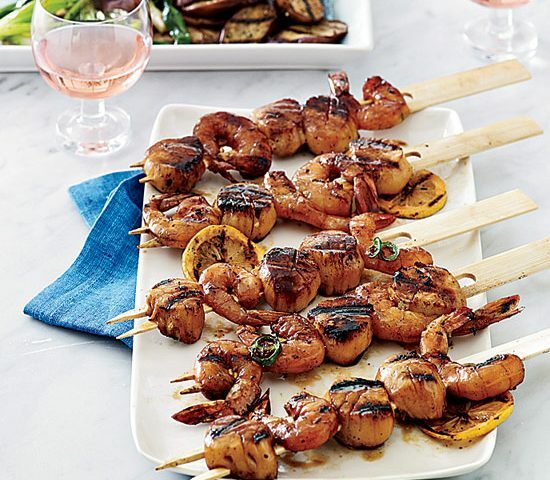 Tip #2: Use skewers or a grill basket to make the shrimp easier to maneuver on the grill. It also ensures that you won’t be feeding any of that shrimp to the fire. Just don’t pack them too tightly together because it will cause uneven cooking. Tip #3: Use direct medium heat to cook your shrimp. A grill that’s too hot will overcook your shrimp before it browns. Cooking it over direct heat at 350 to 450 degrees Fahrenheit for around 5 minutes on each side will give you beautifully charred, tender, juicy shrimp. Tip #4: The shrimp will cook fast – in around 5 to 7 minutes so be sure to stick around so it doesn’t overcook. Also, turn it halfway through the cooking time. You’ll know the shrimp has cooked when it has become pink and opaque. Tip #1: Pat the surface of the squid as dry as possible with paper towels before you apply any oil. The oil is merely to prevent the squid from sticking to the grill. Tip #2: Cook squid briefly over a super hot grill. No more than 2 minutes per side to get it cooked and beautifully charred or the squid will turn rubbery. The tentacles can be left on the grill a bit longer so it can get a bit crispy. Tip #1: Grill crab over direct heat at medium high temperature for 3 to 5 minutes on each side. 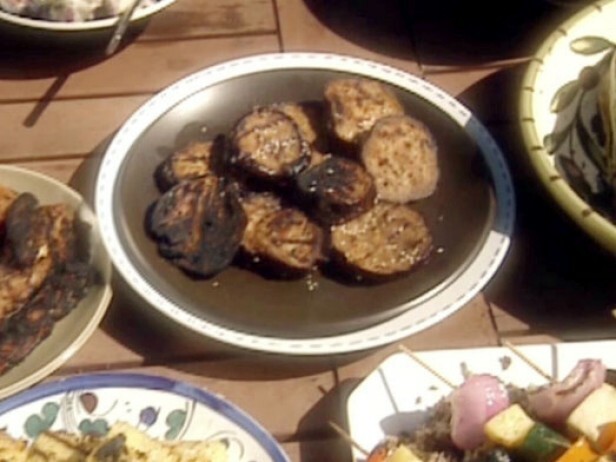 The thicker portions should be placed nearer the grill’s center where it’s hottest. Tip #2: To grill a lobster, you’ll need to cut it in half first. Place them shell side down over direct heat at medium high temperature, 400 to 450 degrees Fahrenheit. Cook for 5 to 7 minutes without turning it. Exposing the meat directly to the heat will just dry it out. Make sure to close the lid and open it every 3 minutes to baste the meat in butter. Once the thickest portion of the tail has become white and firm (no longer translucent and soft), and has reached an internal temperature of 140 degrees Fahrenheit, then you can consider your meal done.